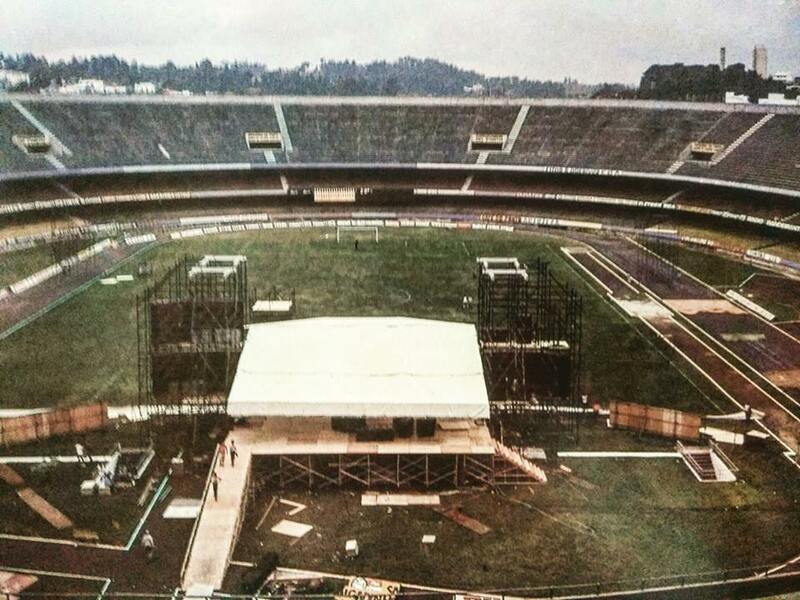 "Morumbi Stadium" is a nickname for the venue, as Morumbi is a small district of São Paulo. 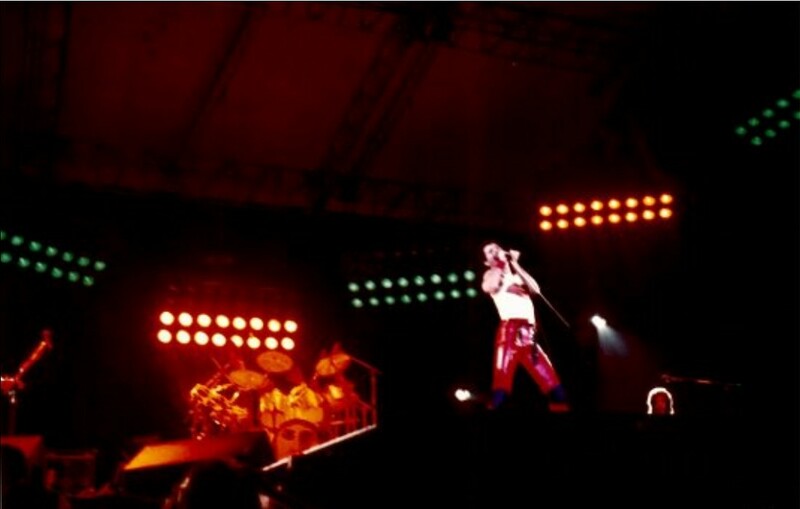 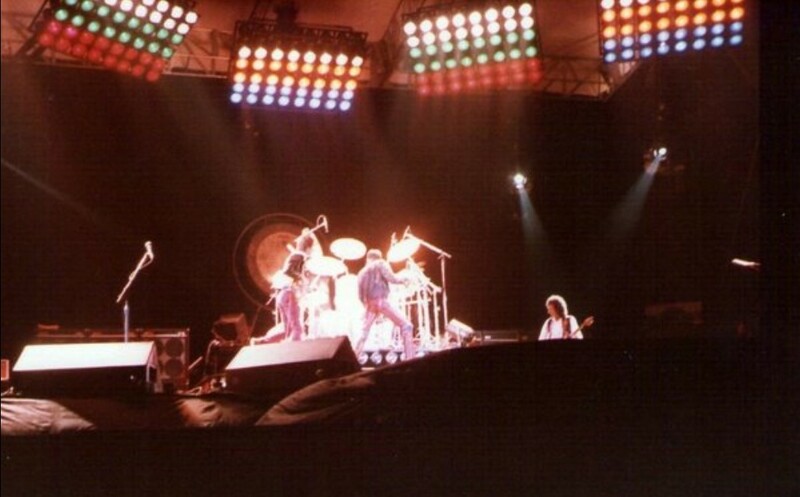 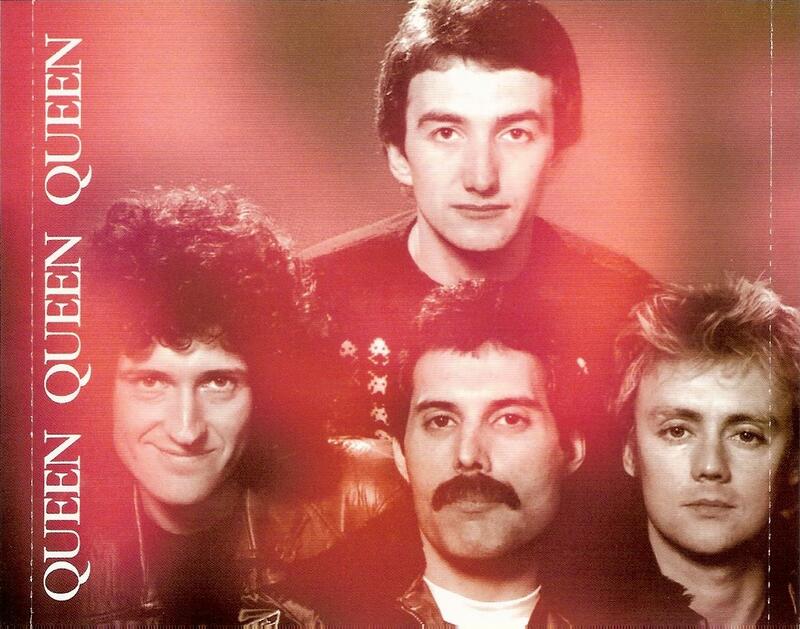 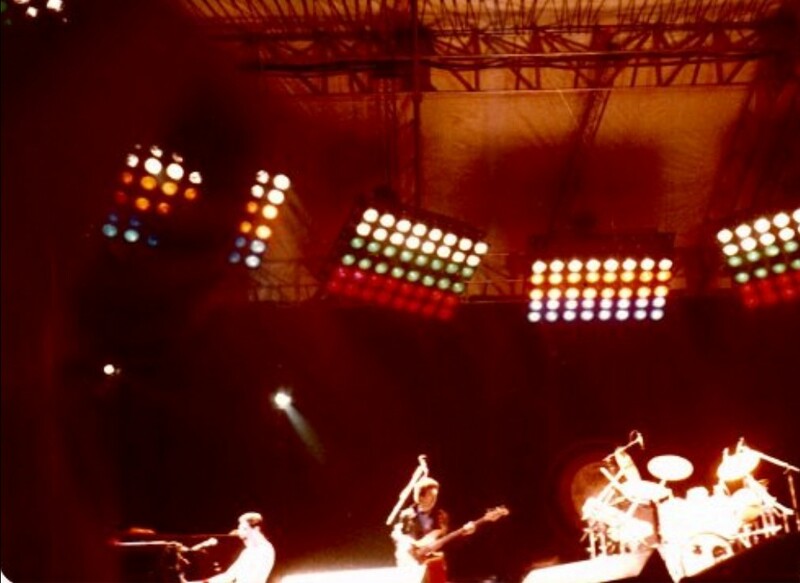 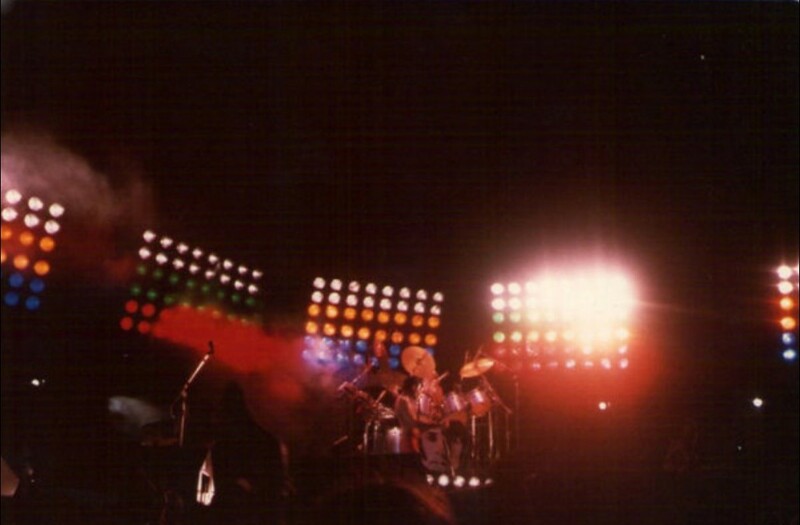 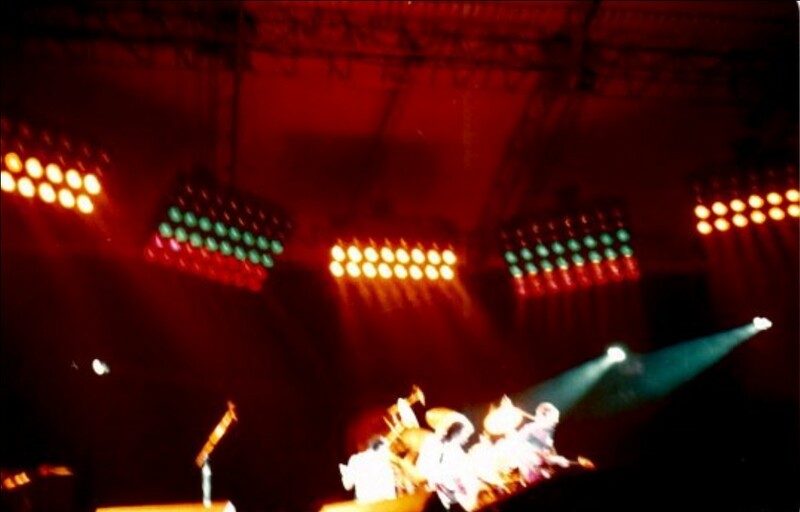 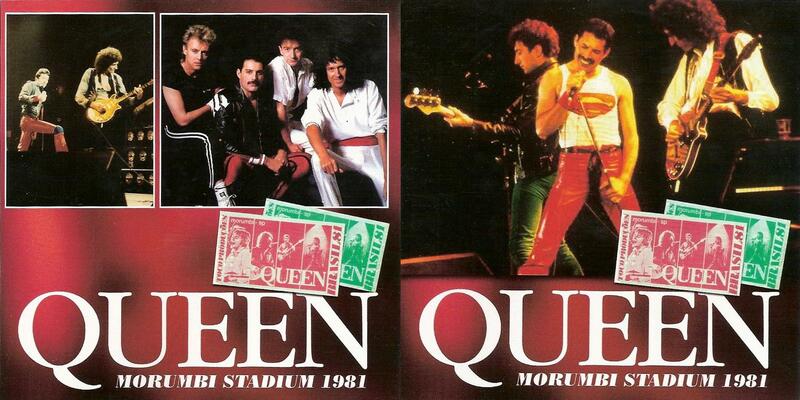 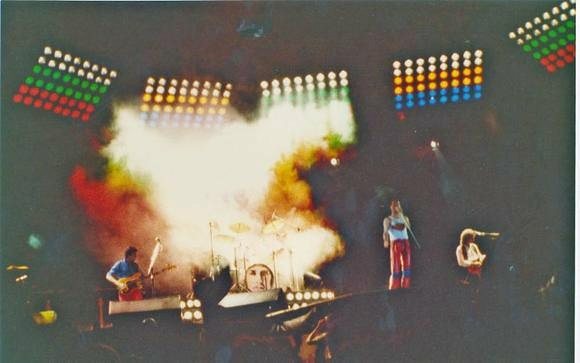 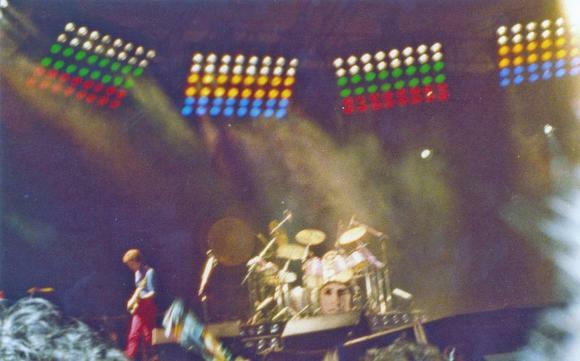 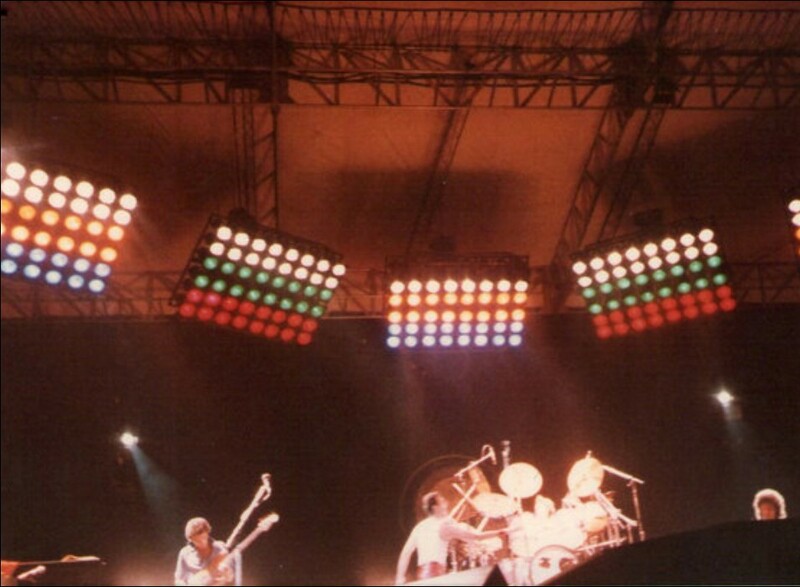 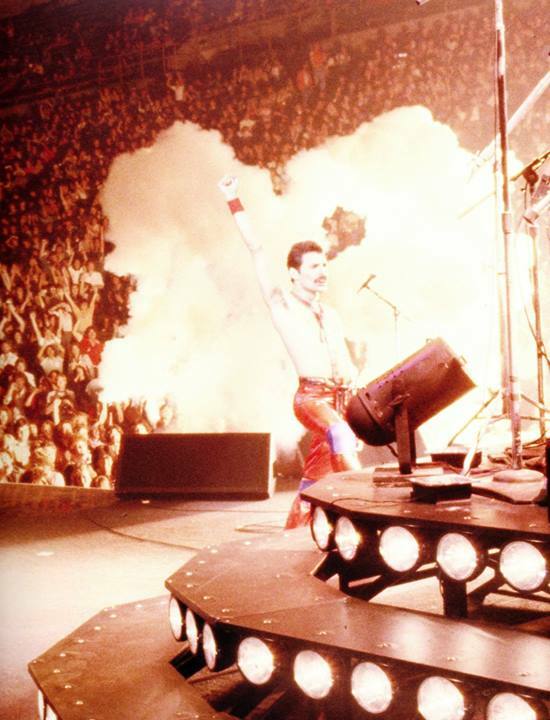 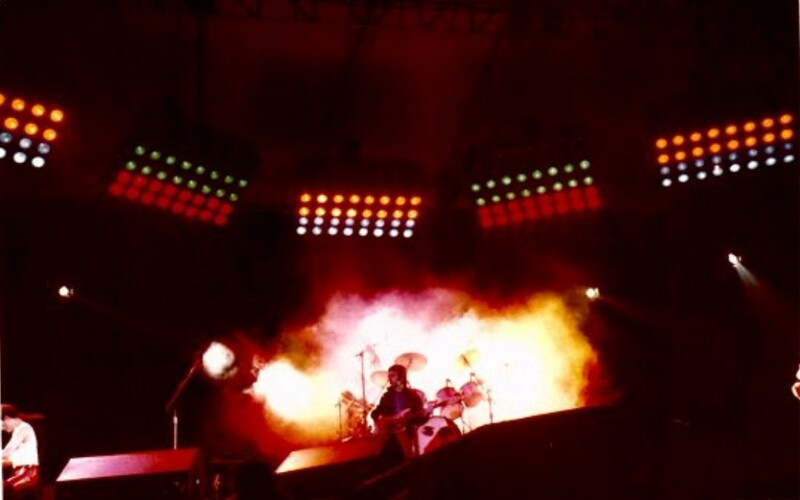 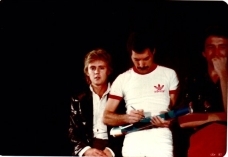 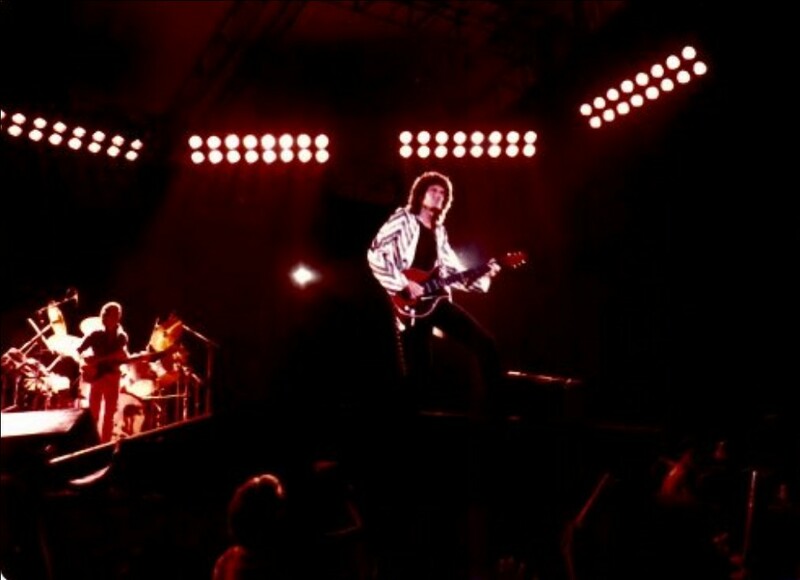 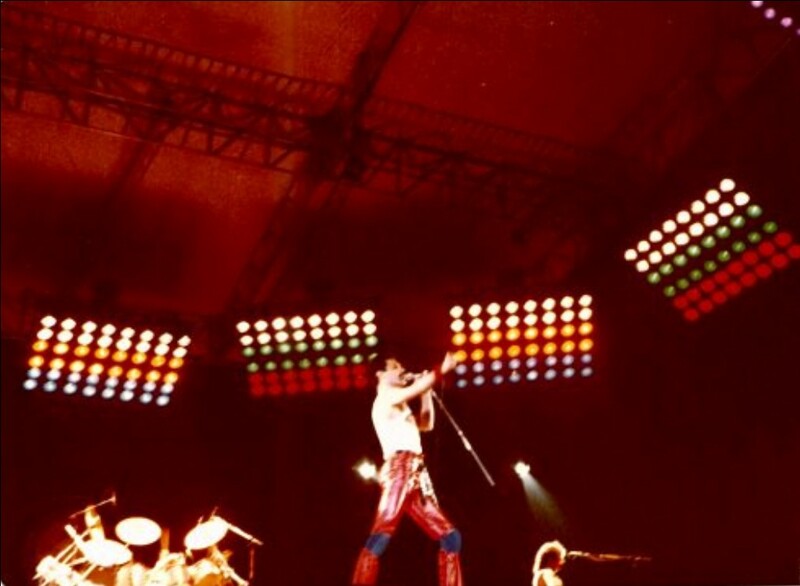 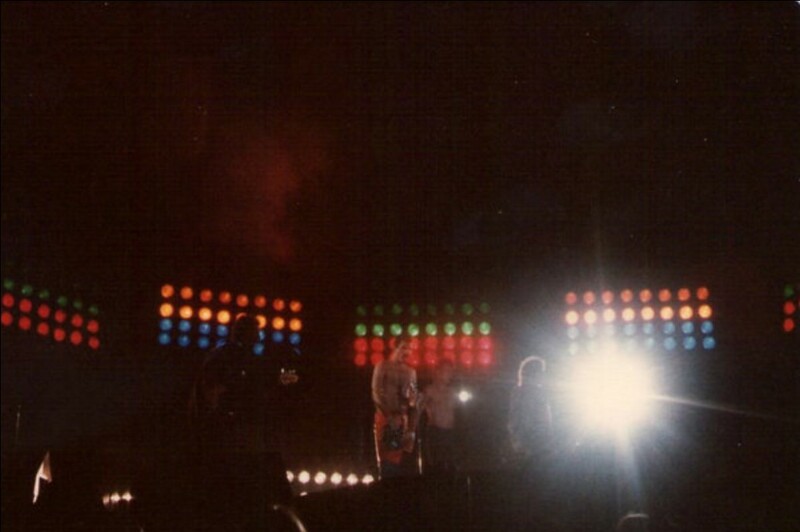 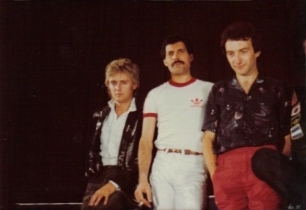 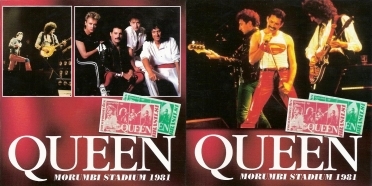 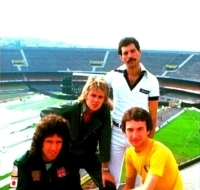 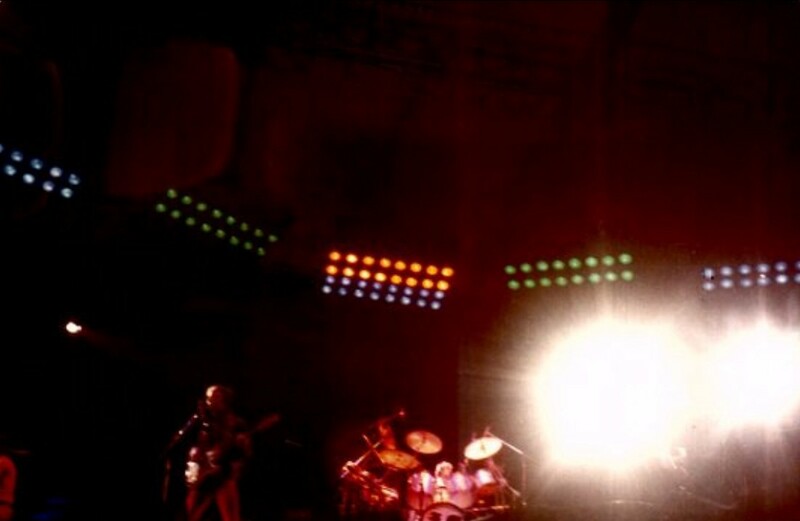 The shows in São Paulo are among the most important of Queen's career. 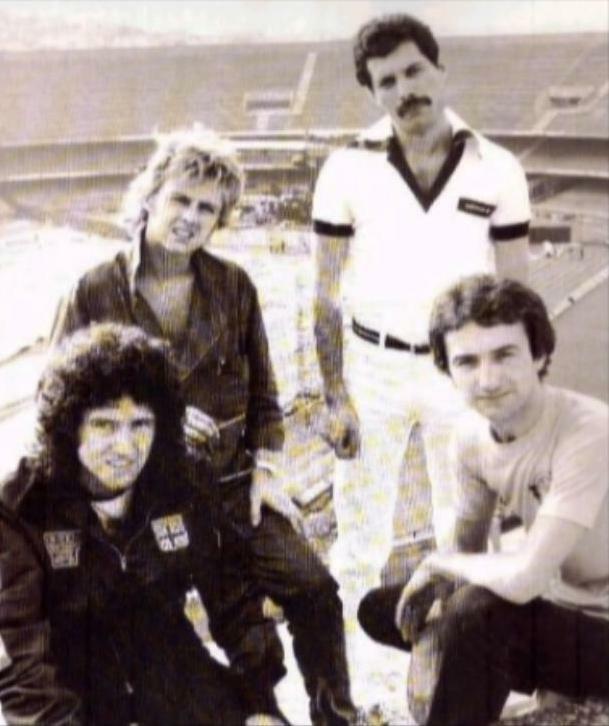 They play to 131,000 people tonight and another 120,000 tomorrow night, the largest paying audiences ever to see Queen, and the largest paying audiences for a single band at the time. When the Rio show was cancelled, this extra night in São Paulo was booked, and it sold out very quickly. 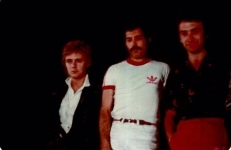 The band are interviewed on TV before the show. 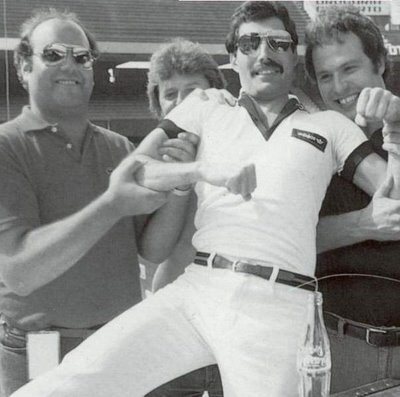 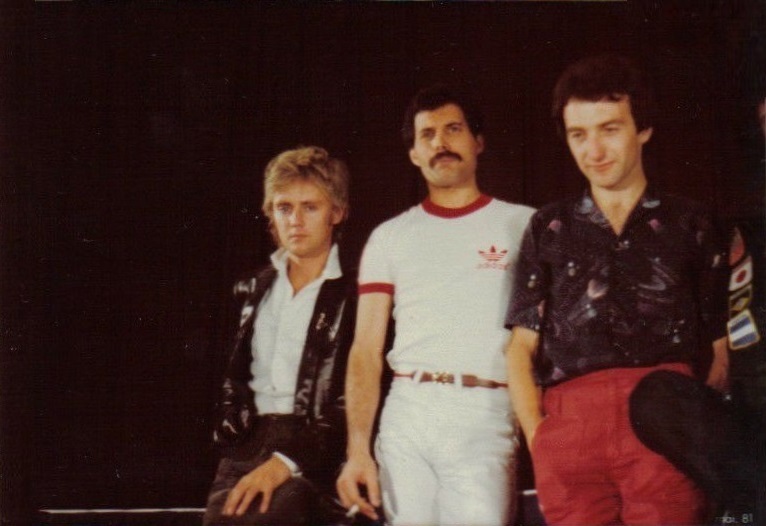 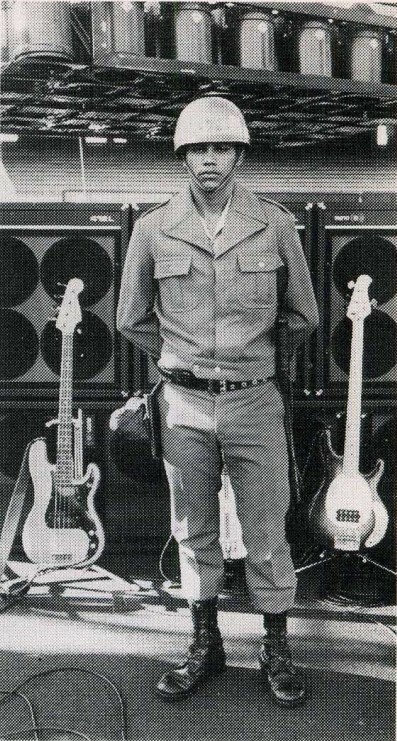 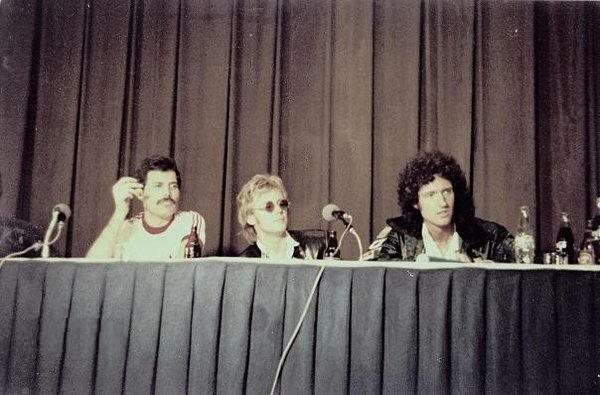 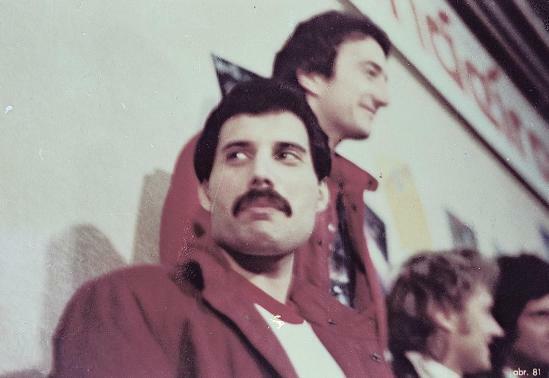 Just as the host, Eron Domingues, sits down beside Freddie, Mr. Mercury quips, "Sit on my lap." 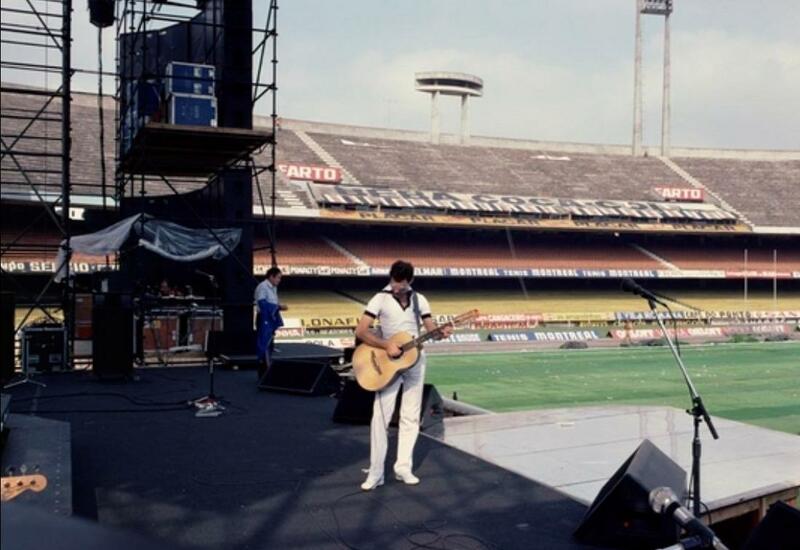 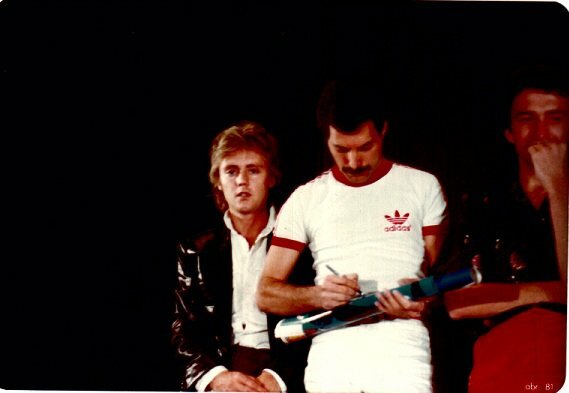 After being asked how he feels about playing for this many people, Freddie, with his usual quick wit, replies, "I haven't done it yet!" He then says the band are looking forward to it, and hopes everyone has a good time. 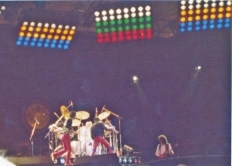 The concert was then broadcast live on TV. 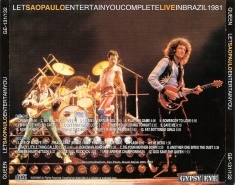 Regrettably, even the best copies of the video aren't anything to write home about, because the quality of Brazilian TV wasn't great in the early 80s. 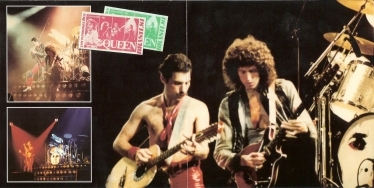 The show was broadcast at least a couple more times later in the year. 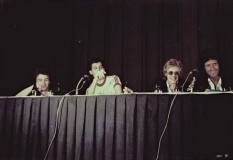 The first rebroadcast was a week after the show at the same time, and it is the only known broadcast of the complete show, audio or video, without any of the voice-overs. 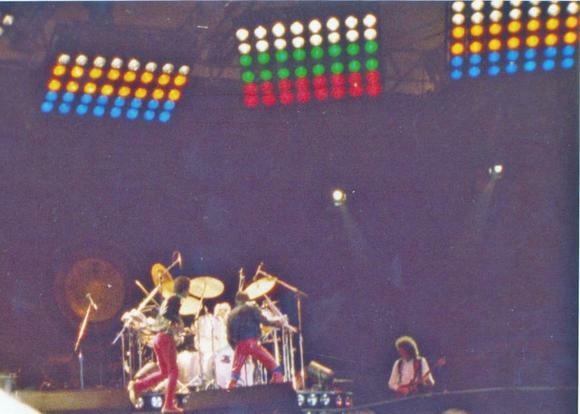 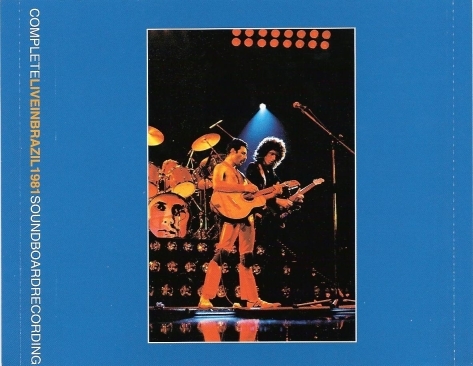 The next rebroadcast was a few months later, a 45-minute version with a red "Queen Special" shown at the beginning and before commercial breaks - and with many different camera angles. 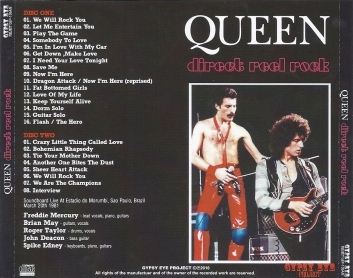 Thanks to Marcos Napier for all the details on the various versions. 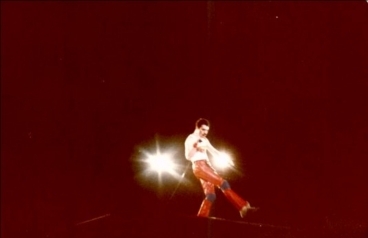 It is priceless footage, as it shows Freddie Mercury part way through Love Of My Life standing and clapping in sheer amazement, after having witnessed this many people who don't understand English sing his song perfectly without him. 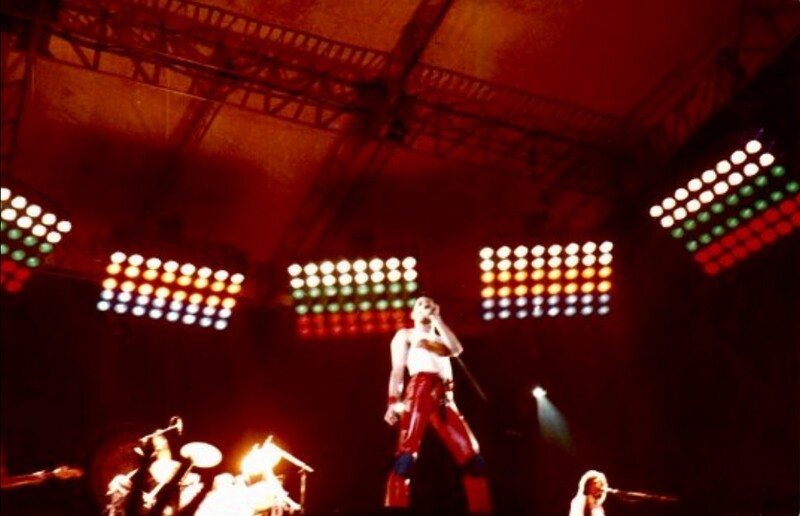 Freddie has rested his voice and sounds fantastic overall tonight. 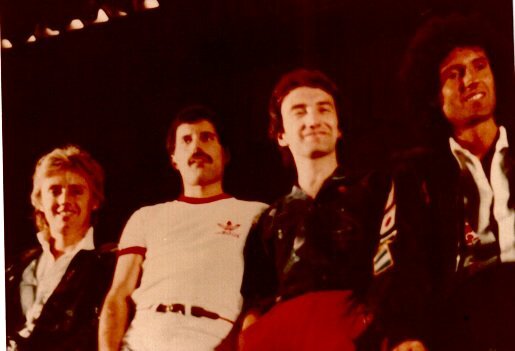 The rest the band are in fine shape as well, with the only slight exception of Brian taking a couple bars to settle into the guitar solo in Somebody To Love. 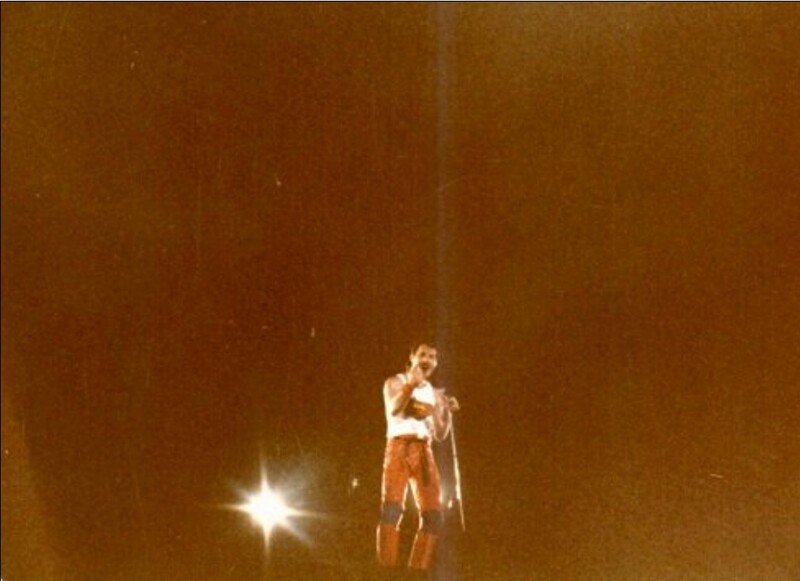 But it is a small blemish on an otherwise perfect night of epic proportions. 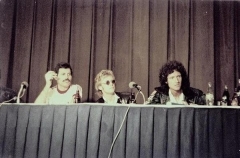 In one of the video rebroadcasts, footage of the audience was copied and pasted around (for lack of a better term), sometimes with humourous results. 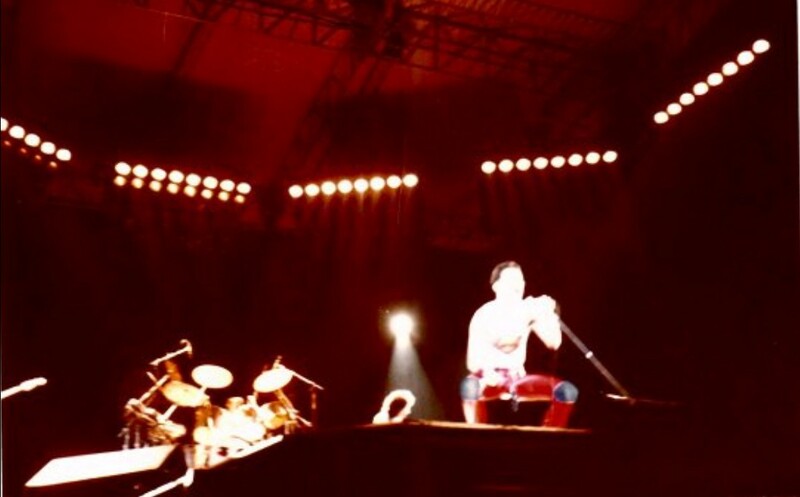 For example, footage of an audience member playing air guitar during the fast We Will Rock You is shown again during the ballad of the evening, Love Of My Life. 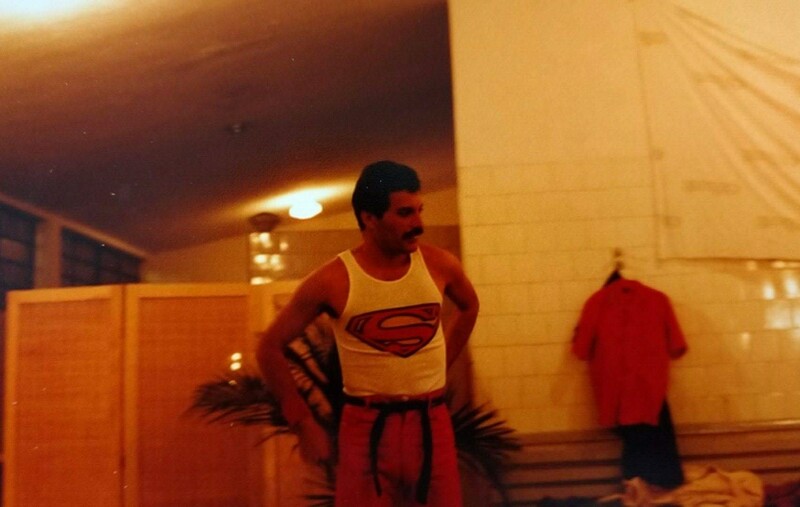 Most of the pictures were submitted by Alessio Rizzitelli and Fabio Minero. 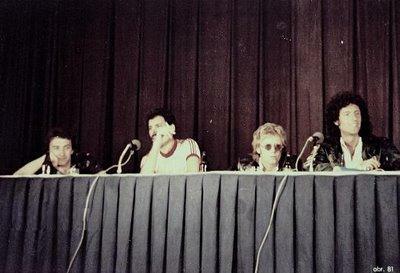 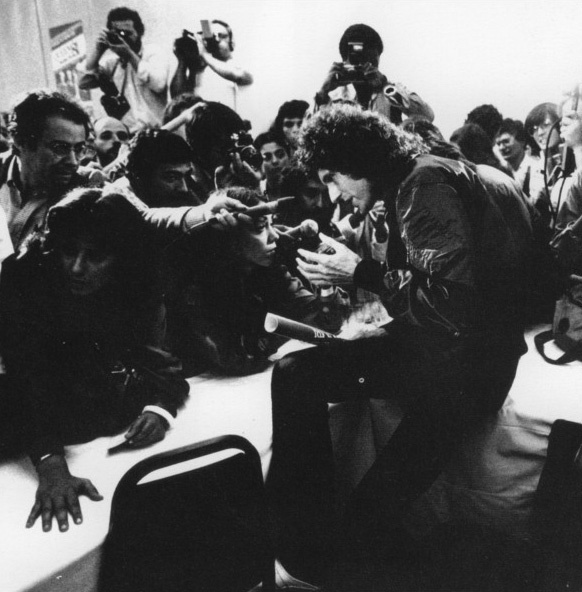 The first photo set is from a press conference at Maksoud Plaza, shortly after the band arrived in Brazil. 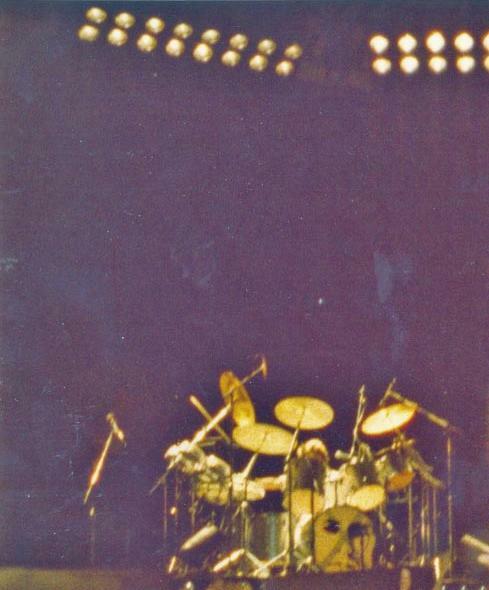 Seven minutes of footage from soundcheck were broadcast on Argentinan TV. 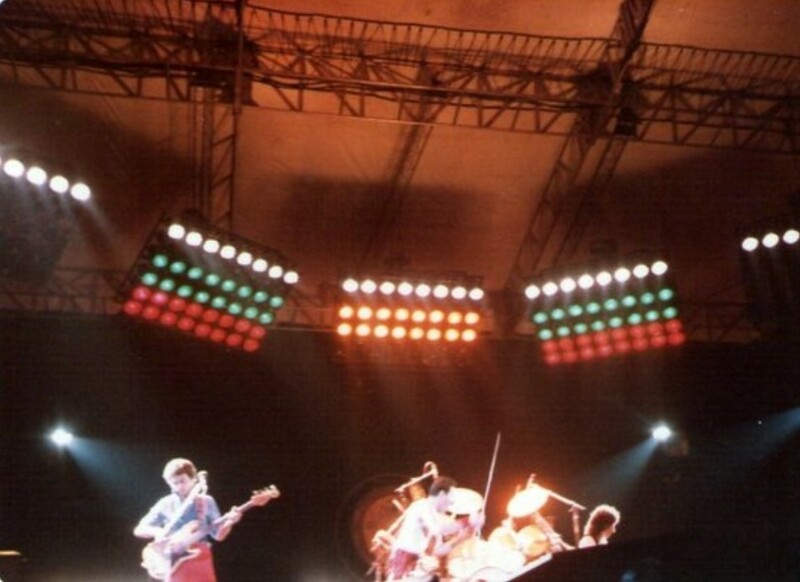 The fifth concert picture was taken by Antonio Henrique Seligman. 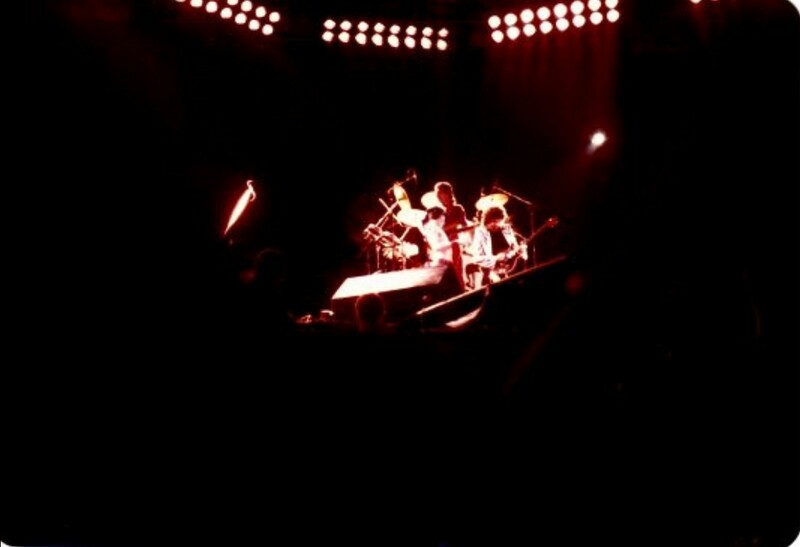 This recording is from the mono live radio broadcast. There was DJ commentary between songs, and it is cut on many subsequent bootlegs of the broadcast. 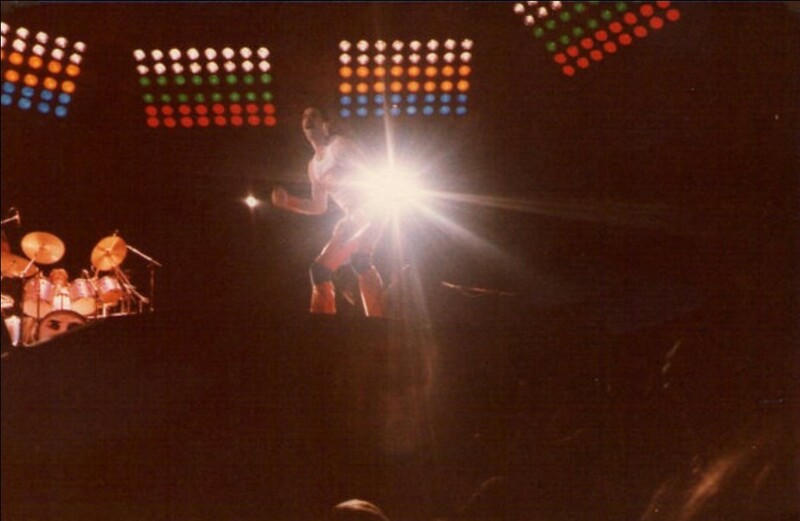 Unfortunately there is also commentary during Freddie's vocal solo at the peak of Somebody To Love. 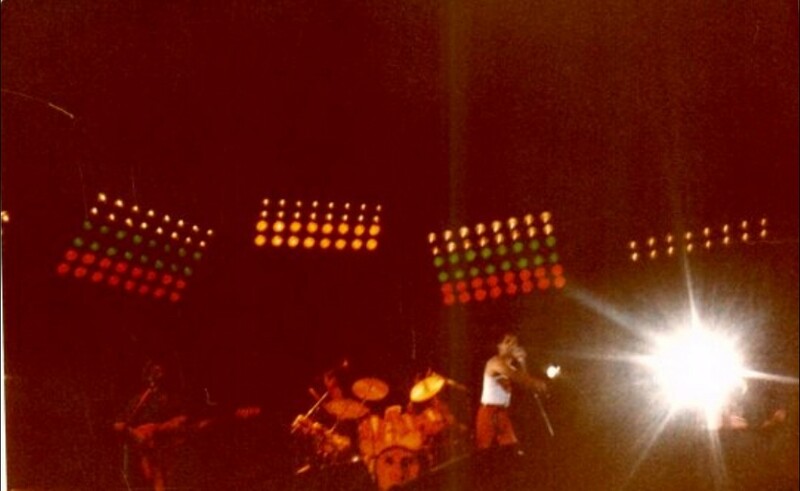 A radio station called "Jovem Pan 2 FM" broadcast the concert live in stereo sound, but a recording has never seen the light of day. 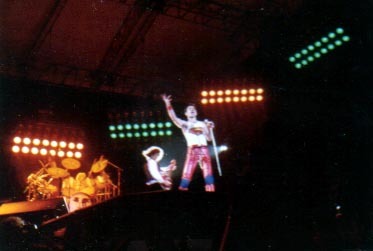 Del Rey FM radio in Belo Horizonte also broadcast the show a week later. 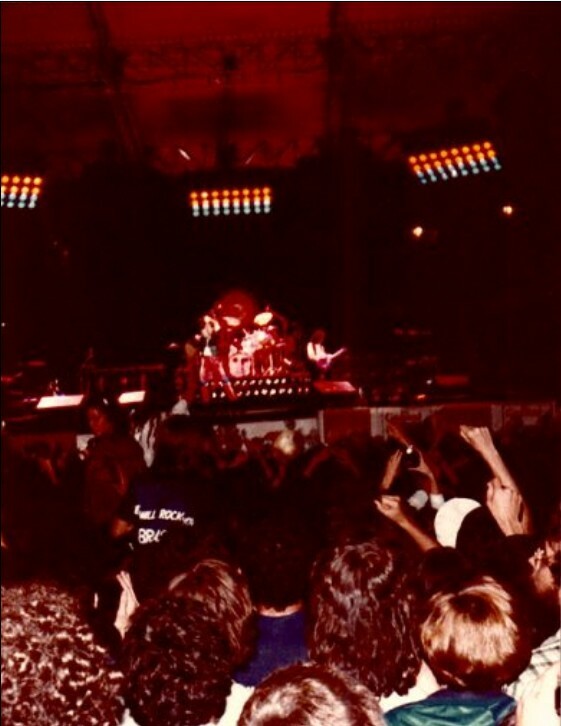 There is apparently an audience recording from this show out there as well. 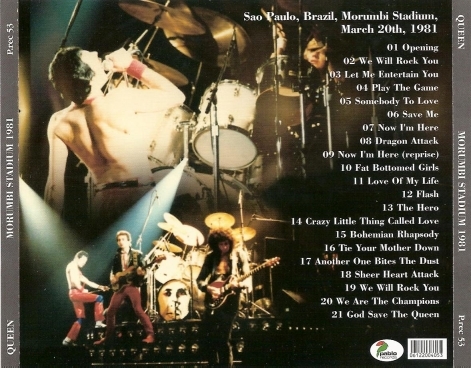 Radio Bandeirantes broadcast the show again a few years later, with a few different edits between songs. 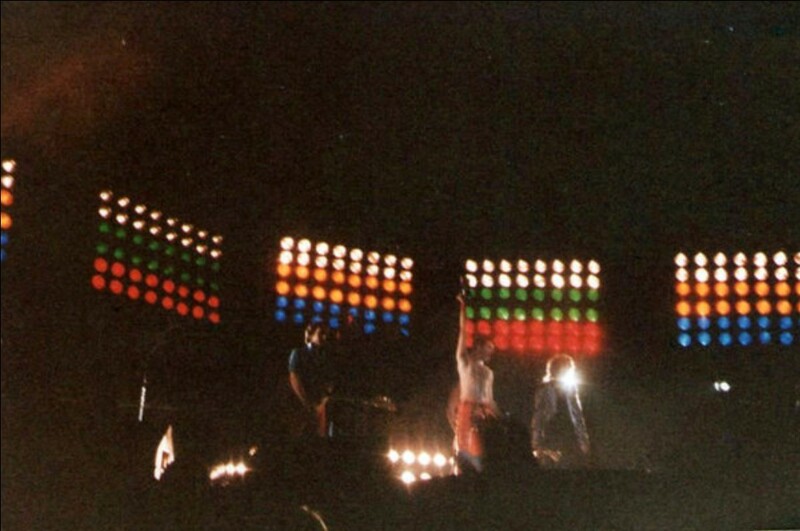 Released in 2000, this is yet another Gypsy Eye abomination, where the sound quality has been purposely and brutally destroyed. 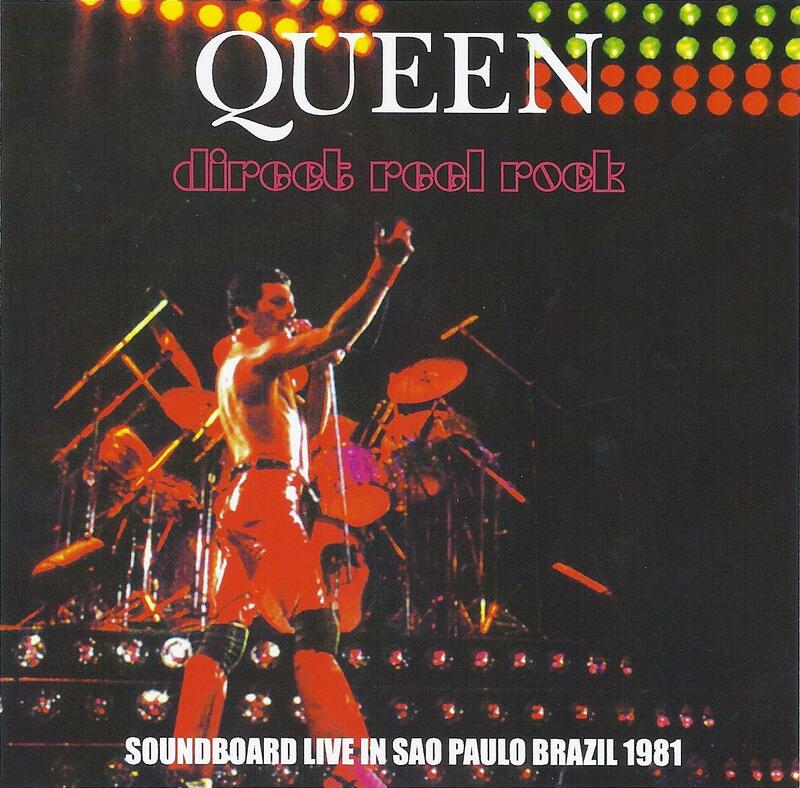 Also, it isn't actually a "soundboard recording" as the cover purports, as any radio broadcast will decrease the quality of the source. This bootleg is the best-sounding recording yet (through Dust anyway, as the quality worsens after that). 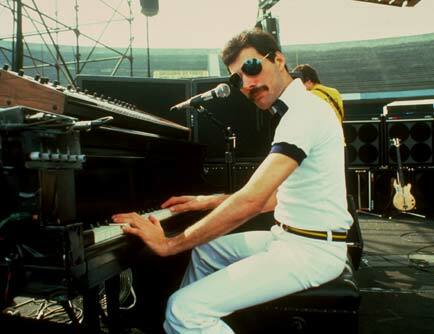 I'm In Love With My Car, Get Down Make Love, Need Your Loving Tonight, Keep Yourself Alive, and the drum/guitar solos are missing. 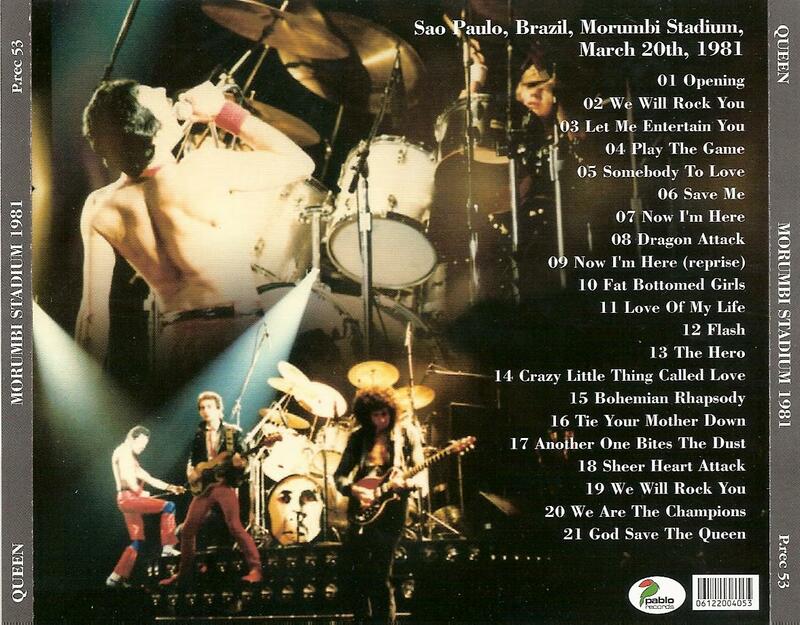 This 2007 bootleg is an exact copy of the "Morumbi Stadium 1981" (Pablo) silver. 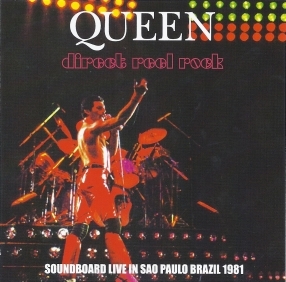 This 2010 bootleg's title implies that the recording is taken directly from the soundboard reel, but the sound quality is far from being complimentary to its namesake. 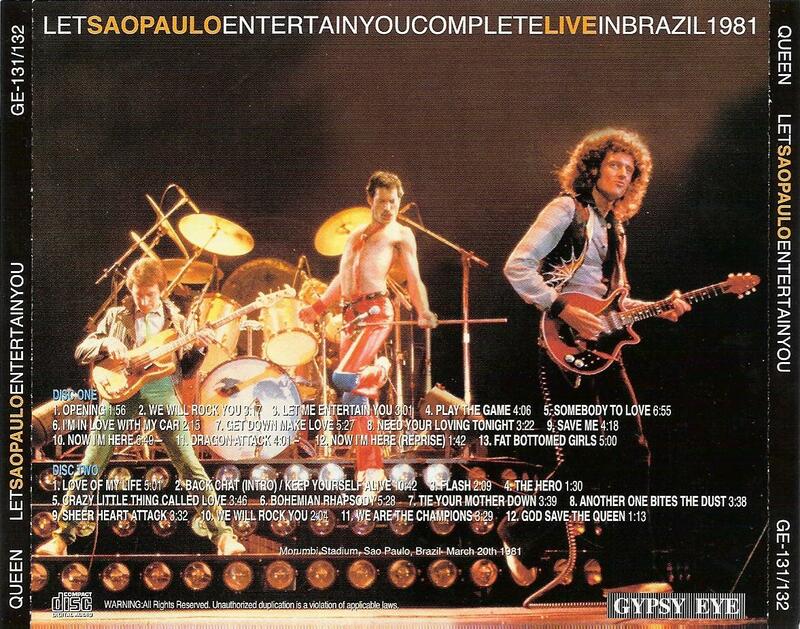 What we have here is the standard recording from Brazilian radio. 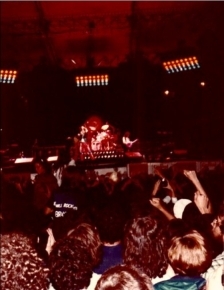 It was either transferred too hot or its volume was purposely raised beyond its peak to the point of clipping/distortion.